Most of us wonder: is there something more to life? Finding More tells the stories of eleven people who asked that question, and found the answer. 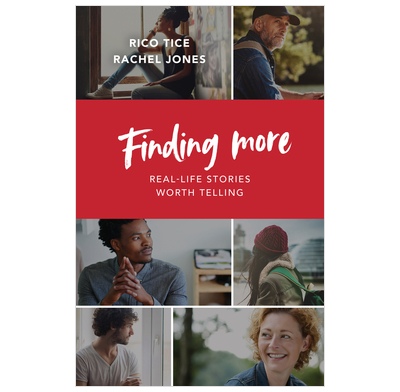 These fascinating life stories introduce you to people from all kinds of backgrounds who became Christians when they encountered the only One who gives us more: Jesus Christ. As their stories unfold, you'll be shown who Jesus is, why he came, and what it means to follow him. This is an ideal book to give to guests on a Christianity Explored course, or to show friends what they might stand to gain by investigating Jesus for themselves. Whoever they are and wherever they come from, they will see that Jesus’ message is for them too. Is there something more to life? It's time to find out. I highly recommend you read it!